The AnyLoad 563WS and 563WS30 Stainless Steel Single Ended Beam Load Cells deliver reliable and accurate weighing for a broad variety of industrial and technical weighing applications. 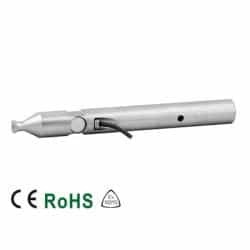 AL-563RS is available in 1,250-25,000lb rated capacities while the AL-563WS30 is available in 37,500-50,000lb rated capacities and is constructed with 2Cr13 stainless steel material. 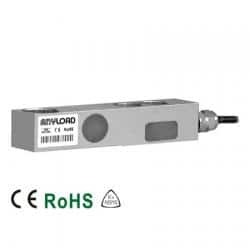 The AnyLoad 563RS Stainless Steel Single Ended Beam Load Cell comes with a protection IP Rating of IP67 as well as is environmentally sealed. The AnyLoad 563RS Stainless Steel Single Ended Beam Load Cell comes with CE, RoHS, and Explosion Protection Certificates of Conformity as well as the Ukraine Measurement Certificate Approval and it is securely packaged to ensure the product’s safety.